At Pembroke Telephone Cooperative our emphasis is on service rather than profit. Our cooperative began as a telephone service provider in 1967, and we still maintain our commitment to providing friendly, personal, quality service to our members. We care about you. 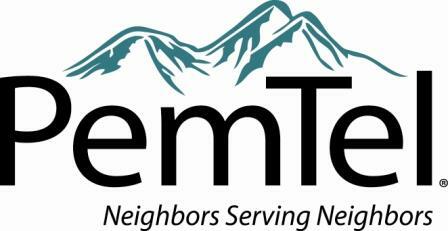 Many of PemTel’s employees live in the same neighborhood as you. We use the same services you do. When we say “Neighbors Serving Neighbors” it is more than just a slogan. It’s a promise. Money spent on salaries, buildings, etc. stays in the community, which helps stimulate the local economy. We support local events, donate to area fire departments and rescue squads, offer scholarship programs for the children of members and more! It is the mission of Pembroke Telephone Cooperative to be the provider of choice for affordable, quality communication services to meet the needs of our customers. For our customers, we will provide quality service on a personal basis with honesty and integrity. For our owners/members, we will operate business in a fiscally responsible manner to ensure long-term financial viability. Our employees are our most important asset. We will equip them with the opportunities and tools needed to be successful and to help them grow as we grow. For our community, we will work to enhance the quality of life in the communities we serve and will be good corporate citizens.